Too scared to hit submit? Relief is here. Some people’s 20 minutes to craft an article may take you 5 or 6 days – and that’s not even including the days waiting during the article review process. Being an expert does not equate being a professional writer, but that doesn’t mean you can’t share your insights and experiences in articles. All it says is that you lack the skill set of professional writers to efficiently edit your own work, which in turn helps you avoid article rejection or embarrassing errors from slipping through. As a result, you exchange “fear of rejection” with “aim for perfection” and end up losing so much of your time that would be better spent adding value and increasing your bottom line. Help – that will save you time, energy, and fear – is on its way with a great new service. Watch in this quick video. EzineArticles Is Now on Vine! Every year, EzineArticles provides 1,000s of motivational quotes, tidbits of information, training prompts, and much more in order to enhance your article writing efforts. Besides the Article Writing and Insights Blog, you can easily find us on popular social networking websites like Facebook, YouTube, Google+, Pinterest, Twitter, and now Vine! 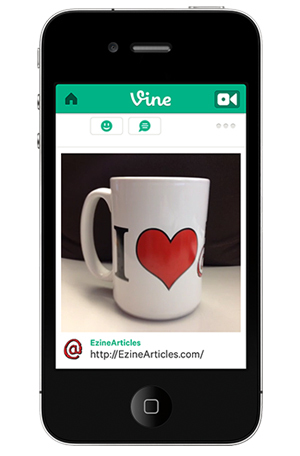 Acquired by Twitter in October 2012, Vine shares content in motion. From serene scenes, to humorous pranks, to dynamic promotions, on Vine you can create short looping videos to share with your audience using your iOS device (e.g., iPhone). Check Out Our Most Recent Vines Below! Harlem Shake: An unconventional dance move that involves the shaking of the upper body and shoulders. Some days you just have to get up and dance to tap into your creativity, increase your productivity, and stimulate the chemicals in your brain! Watch how Penny, Marc, and I as well as the EzineArticles team cut loose in our very own edition of Harlem Shake. 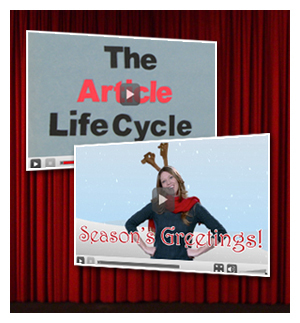 Share this video by visiting our YouTube Channel and don’t forget to subscribe!